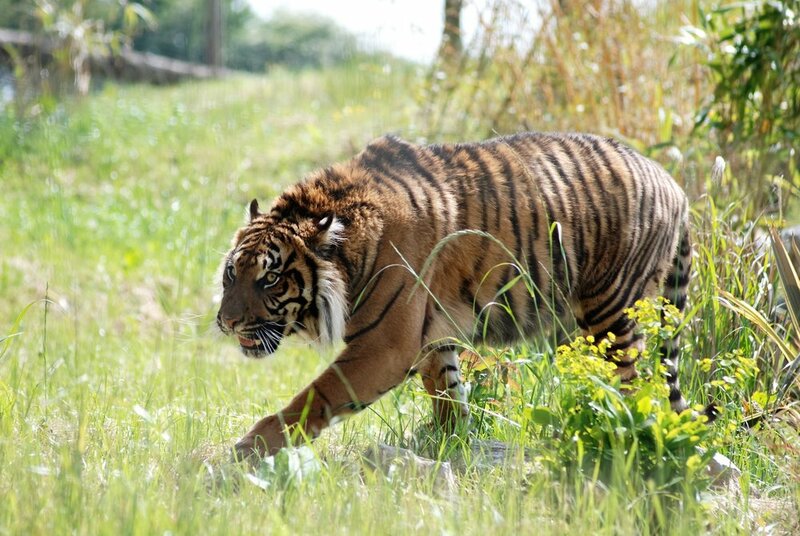 Manor wildlife park is currently part of the Sumatran tiger European breeding programme, working to safeguard the future of the most enigmatic of species. The park holds one male, Jaya who joined the park from Chester Zoo in 2016 and Terima, a female who arrived from Beauval Zoological Park, France in 2015. The Sumatran Tiger is native to the Island of Sumatra in Indonesia. Their preferred habitat is the dense forests of the lowlands and highlands. Numbers have plummeted in their native Sumatra due to habitat loss and deforestation caused by increased logging and the agriculture – especially from palm oil plantations. Illegal hunting is also a problem as these animals are revered for their skins and seen as a threat to livestock. Sign up to receive news, info and special offers!